The Races: pitchers of heineken, light gambling, and some horses. Horses race most Wednesday nights in Happy Valley. It’s crowded, it’s hot most of the year, it’s often themed, and it’s certainly not the Kentucky Derby (not that I have been to any horse racing outside of Hong Kong). It is fantastic fun. 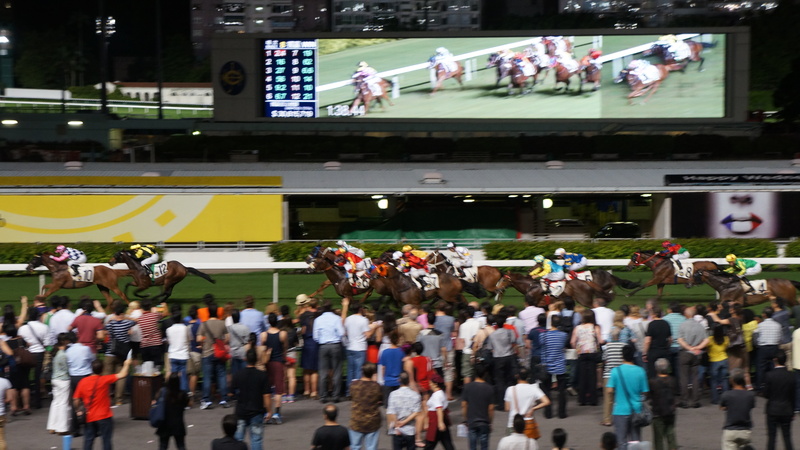 We often grab dinner before hand somewhere in Causeway Bay or in Happy Valley proper, then wander in after a few races have gone off, about 8:30. We scramble to the beer stand, buy ourselves a pitcher or two, then try to wrangle some seats together in the stands near the finish, send someone off to collect gambling slips and begin speculating on which horse will be best. It ends up being a debate over names: is “Ho Ho Life,” “Very Well,” or “Champagne Days” the best bet? Sure, they give you some stats, but names are more fun. We take our tickets up to the counter and bet our paltry sums, then go back to our seats to mock each others’ horses and hope for the best. 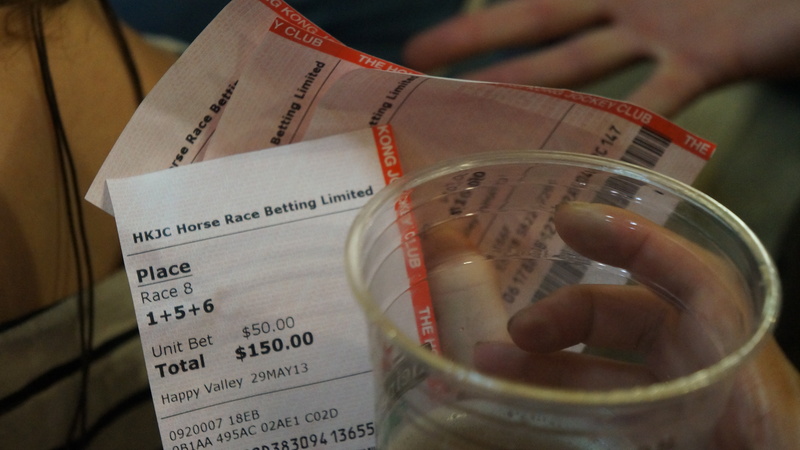 I only ever bet 20HKD on a horse, so my biggest winnings were 70HKD, which I used to pay for the next round of drinks. It is really just for fun. I mostly break even at the end. It’s a party-like atmosphere, and a good way to pass a Wednesday. For the plebeians, entrance is 10HKD when you tap your octopus card, and the night is over by 10:30 usually. You get a number of types of people there: posh foreigners in sundresses or linen shirts, serious gamblers who look worried and stressed pouring over stat sheets near televisions, people in company boxes, people trying to advertise something in costume, and people there to spend very little money and have fun. We once saw an elaborate proposal between races, the woman may have been excessively embarrassed. Excellent for people watching, horse watching, and hanging out with some friends in a cool (hot) place.